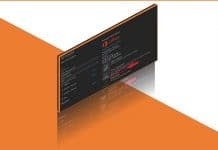 In this post, you will get the updated list of SCCM version numbers, Build numbers, and client version numbers for SCCM releases. I will try to keep this list updated. Please don’t hesitate to correct me with the proper version numbers if I’m wrong in some of those SCCM full version numbers, build number, client version numbers listed down. The continuation of this table of SCCM Version numbers are available in the table #2. The table#2 contains the SCCM client version details. I couldn’t fit the table in the same page without spitting it. SCCM 1806 8692 5.00.8692.1010 5.1806.1070.1500? 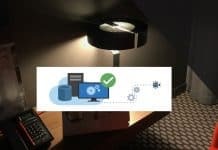 SCCM 1802 8634 5.00.8634.1815 ? SCCM 1802 8634 5.00.8634.1009? ? SCCM 1706 8540 5.00.8540.1005 5.00.8540.1500? The following list provide the client version for all the SCCM CB releases. The following table provides the details of SCCM preview version edition numbers which includes SCCM Full Version Numbers (SCCM Version Numbers), SCCM site version number, and console version numbers. 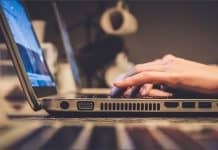 What is the difference between SCCM Site version and SCCM Full version numbers? I’m not able to find out the proper answer to this question. I’ll update if I receive any definite answer. There is some more confusion about SCCM version numbers. SCCM Version numbers are a bit confusing for me. The most confusing part is SCCM Site Version number shown near console version number, and the Full version number shows near client version number in Updates and Servicing node. 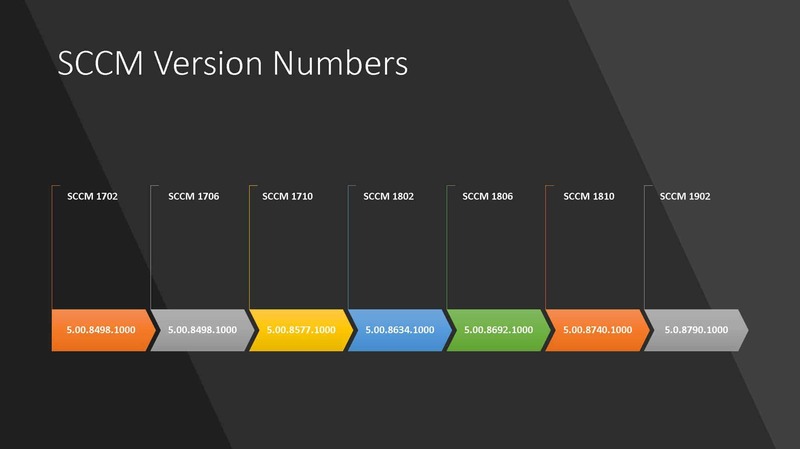 Following are some examples of the SCCM Full version numbers (SCCM version numbers) and SCCM client version numbers. These details are available at SCCM console administration – Updates and Servicing. 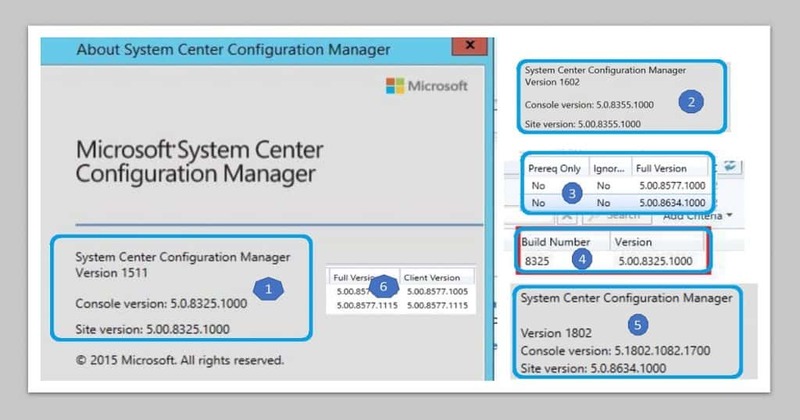 You can get the details of SCCM console version, and SCCM site version numbers from SCCM console -> click on the arrow button (Near Home) -> About Configuration Manager.